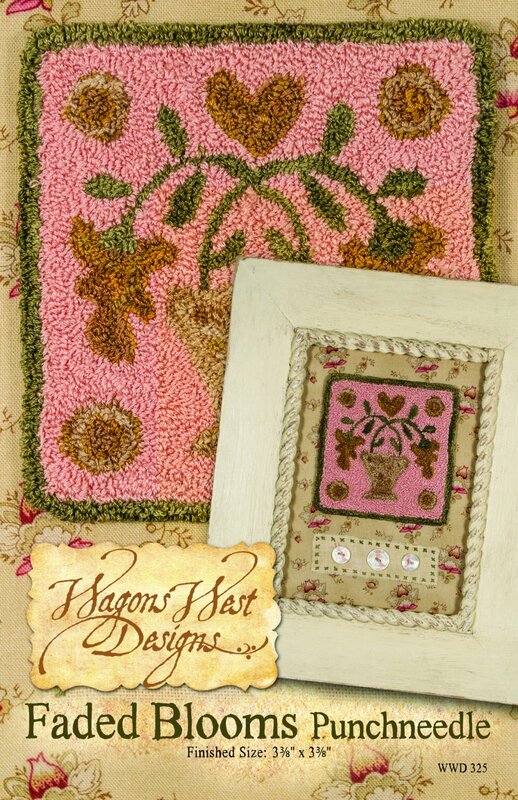 Kit - Faded Blooms Punchneedle Finished Size: 3 3/8" x 3 3/8". Faded Blooms Punch needle kit includes the pattern and all of the Valdani 3 strand hand dyed embroidery floss, and DMC embroidery floss needed to complete the project. Weaver's cloth, ready to trace, is included, as well as a stabilizer to complete and finish your embroidery.